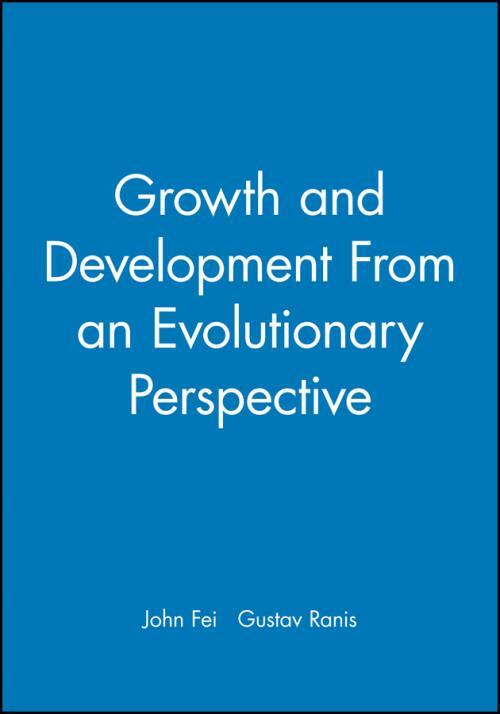 Engendered by renewed interest in development, Growth and Development from anEvolutionary Perspective is a result of recent work in the "new growth theory" arena. This authoritative survey uses "comparative analytical economic history" to trace the evolution of development theory from the Physiocrats and the classical School to Solow, Lewis, and Lucas and Roemer. Through outlining historical time, typological differences across developing societies, and the transition from agrarianism to modern economic growth, the book arrives at contemporary analyses and current policies. Theoretical sections develop a general system of growth equations that focus on the central role of technology change. Students can apply these equations to sub–phases of transition as well as to the modern growth epoch. Policy–oriented sections discuss contemporary concerns with distribution, poverty alleviations, and human development as they relate to growth over time. The book identifies the policy implications of the development process, comparing East Asian with Latin American cases. In considering future policy, the book demonstrates how political economy factors suggest and enhanced endogenization of policy choices. 1. Growth and Development: An Overview. Part II: Agrarianism and Dualism:. 2. From Closed and Open Agrarianism to Modern Dualism. 3. Development of the Closed Dualistic Economy: A Bird′s Eye View. Part III: The Analytics of Growth and Development:. 4. The Neoclassical Production Function, Growth and Development. 5. A General Analysis of Growth Systems. 6. Applications to Modern Economic Growth. Part IV: Applications to Growth and Development under Dualism:. 7. Transition Growth in the Closed Dualistic Economy. 8. Transition Growth under Open Dualism. 9. Growth, Equity, and Human Development. Part V: Conclusions for Policy:. 10. Policy and Political Economy in the Transition to Modern Economic Growth.